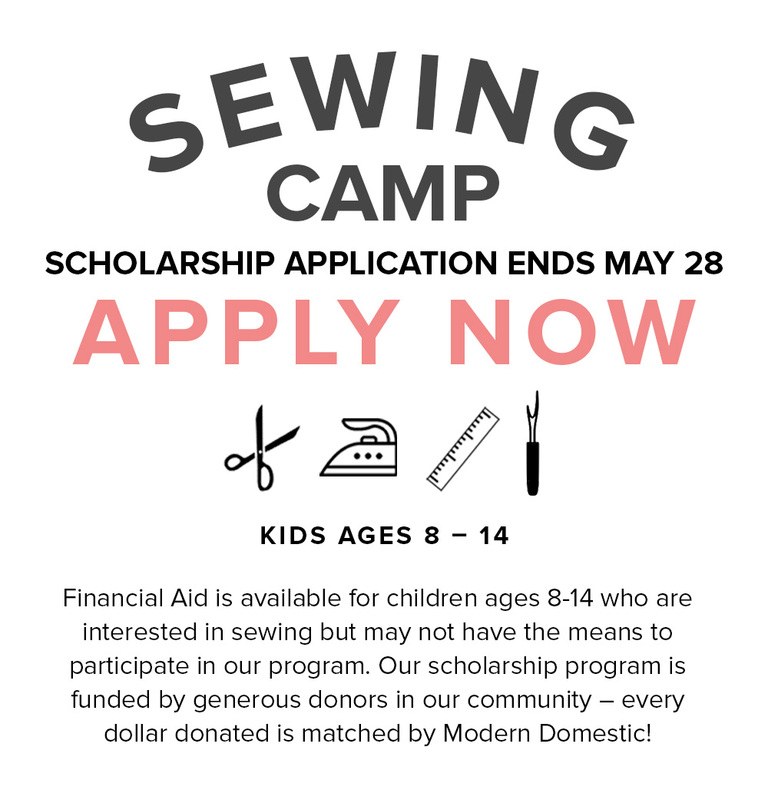 Win a quilt & send a kid to sewing camp! Don’t miss our upcoming Summer Kids Camps! 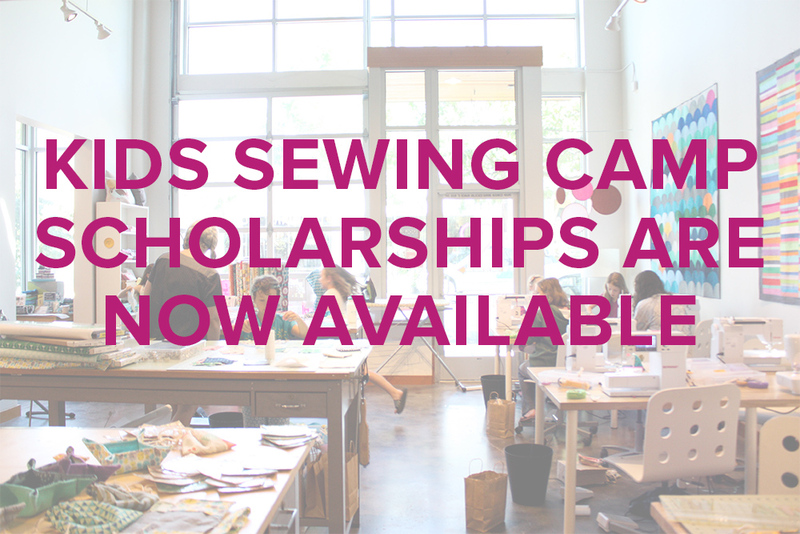 Now is a great time to take a look at your summer schedule and get your kiddo signed up for some sewing classes. We are so excited that Summer is finally here! 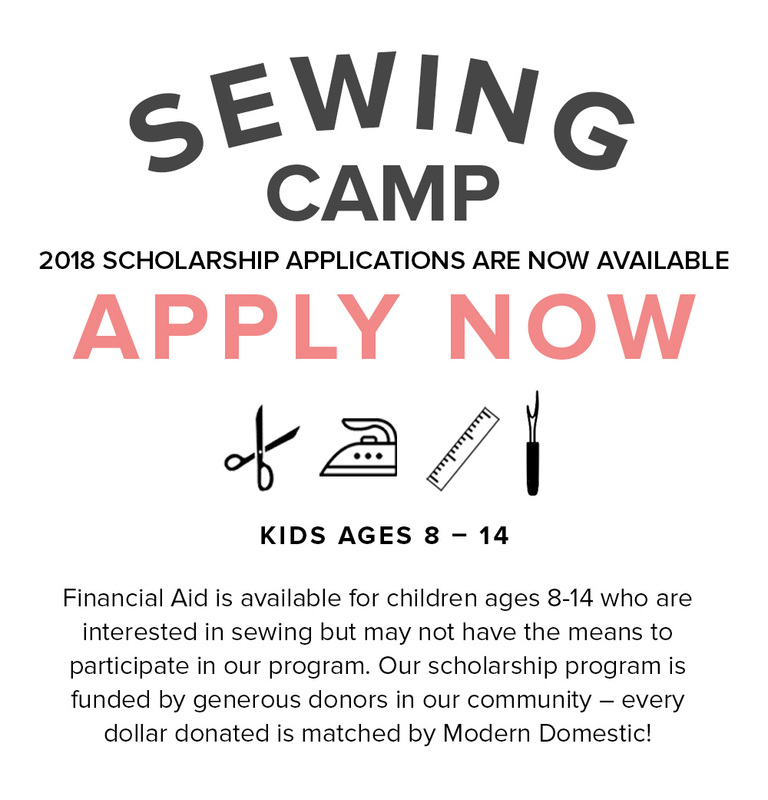 Our kids and teens sewing camps bring in so many budding young sewists and their enthusiasm for learning a new skill is contagious. We’re already one week in and the kids have had a great time making cute dresses, bags, and pouches. Meet Mary Morse, one of the young sewists who recently joined us for a Machine Owners class. Mary has been sewing a couple of months and has jumped right into learning how to use her Bernette 25. Her favorite thing to sew are pillows and dresses. For the last few weeks we’ve had kids in the shop every day learning to sew and making projects. 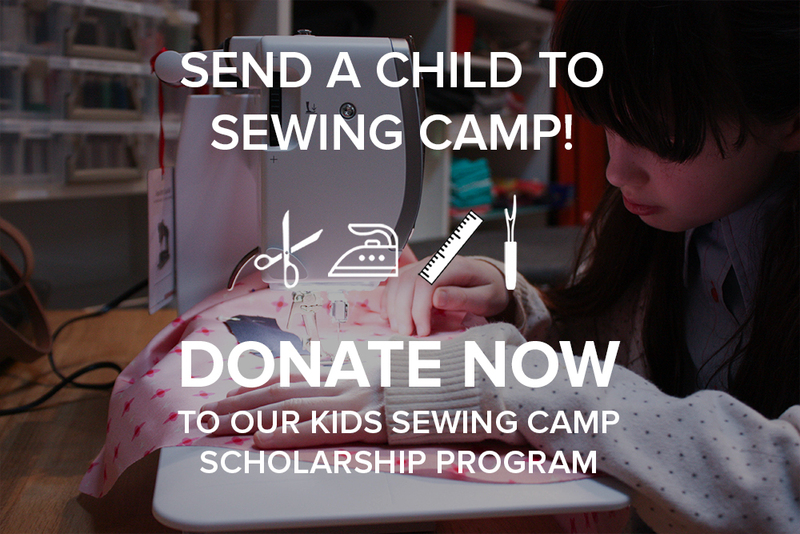 Last night was this Summer’s first session of one of our most popular Kids Sewing Camps. Six budding sewists set up a table outside of the shop and displayed the items they’ve spent all week making in the One Week Boutique camp in order to sell at Last Thursday.